Manchester City survived a sloppy start to secure top spot in Champions League Group F by beating Hoffenheim 2-1 thanks to a brace of goals from Leroy Sane. Andrej Kramaric’s penalty put the Germans deservedly in front on 16 minutes as another much-changed City side struggled to get up to speed. 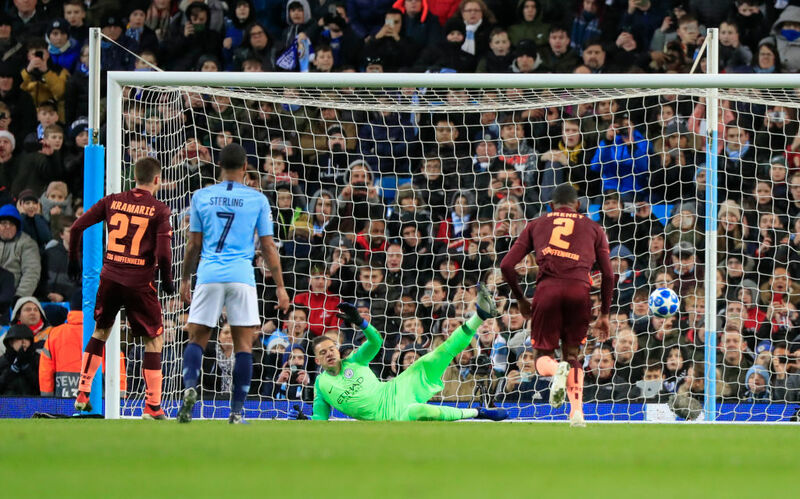 However, Pep Guardiola’s men found their feet as the first half wore on and were level just before the break courtesy of a brilliant Sane free-kick. Guardiola was frustrated by his side’s wastefulness in front of goal in the second period, but Sane did at least secure victory by converting Raheem Sterling’s pass on the hour mark. Kramaric had fired a warning shot inches over before Ederson in the City goal showed he wasn’t to be outdone by Brazilian international team-mate Alisson Becker’s heroics to secure Liverpool’s place in the knockout stages against Napoli on Tuesday by producing an incredible finger-tip stop to turn another curling effort from the Croatian behind. However, Kramaric’s luck was in third time round from the penalty spot after Aymeric Laporte was punished for hauling down Benjamin Hubner. All of City’s best efforts before the break came from set-pieces as Gabriel Jesus headed Sane’s corner off the post before Oliver Baumann got down well to deny John Stones. 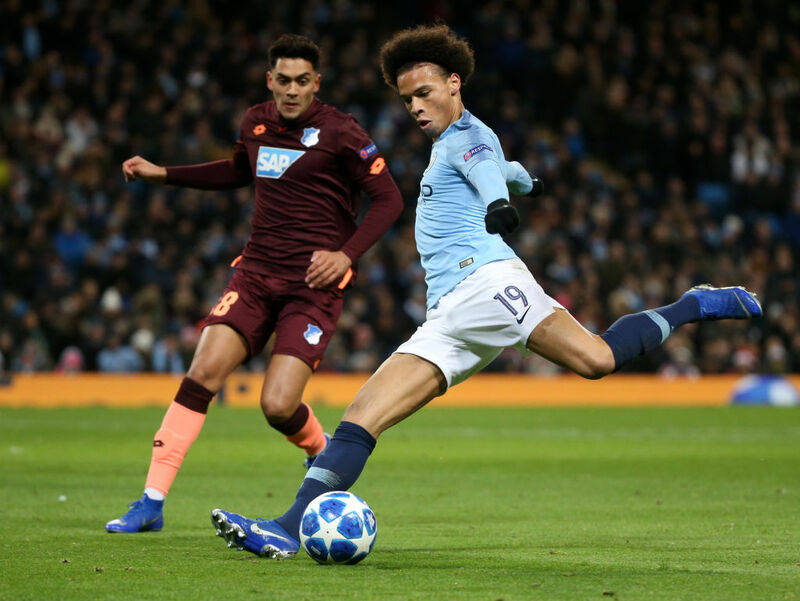 Sane was guilty of overplaying as City incredibly spurned a three-against-one when Sterling fed the German, who tried to tee up the surprised Bernardo Silva rather than going for goal himself and Baumann saved the Portuguese’s shot. "That was our target, to win here at home and to be first". However, it mattered little as the competition favourites march into Monday’s last 16 draw where they can face Atletico Madrid, Schalke, Ajax or Roma.